The Canon Pixma MX340 is a four-in-one printer with print, scan, copy and fax capabilities. Suitable for office as well as personal use, it offers decent printing, copying, scanning and fax speeds. But it is unsuitable for them who are seeking for a lightweight device as it is a bit bulky. The Pixma MX340 printer from Canon weighs 8.6 kg and and measures 198 x 458 x 410 mm. The resolution of the scanner can be injected up to 19200 x 19200 dpi, while the maximum resolution of the printer is 4800 x 1200 dpi in colour and 600 x 600 in monochrome. 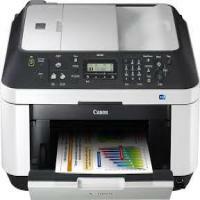 It uses a 4-ink Canon inkjet technology for colour prints and does not use individual Canon Pixma MX340 Ink Cartridges. It is easy-to-configure with 802.11b/g wireless networking. It consists of a 100 page paper tray and a 30 page Automatic Document Feeder (ADF) so as to make multipage faxes and copying easy. Despite these, it lacks some features like there is no memory card for starters. The Contact Image Sensor (CIS) scanner makes a whining noise when operating but produces accurate scans and clear photocopies. It also provides advanced options such as tweaking of the scans. The Canon Pixma MX340 is a four-in-one printer that can print, scan, photocopy and fax. With slightly costly Canon Pixma MX340 Ink Cartridges, there might be some money expenses. But if one is going to print regularly, ultimately one can save money and get good print speeds. Overall, this is an impressive printer and can be used for office as well as personal use. How to resolve error messages displayed on the LCD screen? Action to be performed: The FINE Cartridge may not be installed properly, or the cartridge may not found compatible with the machine. Open the scanning unit (Cover) and install the appropriate Canon Pixma MX340 Ink Cartridges. If the error is not resolved, the cartridge may be damaged. Contact the service center. Action to be performed: The cartridges you are using are not compatible with the machine or one is using poor quality cartridges. Install the new cartridges compatible with the printer. Action to be performed: The ink may have run out. Action to be performed: The ink has run out. Q. Is the ink volume in both the cartridges of your 2-pack Canon Pixma MX340 ink cartridges same? A. Yes. The ink volume in both the cartridges in this two-pack set two-pack set is 12ml. Q. Is the quality of all printouts of high capacity ink cartridges consistent and good, considering they print more than normal capacity cartridges? A. Yes, the quality of all the printouts that high capacity ink cartridges prints are good from start to finish. Q. I installed compatible Canon Pixma MX340 ink cartridges in my Canon Pixma MX340 printer but someone told me that it can invalidate the warranty. I’ve already installed it and I’m worried about my printer’s warranty. Is there anything I can do to protect my machine? Please help me. A. Please don’t worry about the warranty of your printer as compatible ink cartridges cannot nullify it. You can continue using the printer normally but just need to take care that you don’t click ok or agree with anything displayed on the site before reading them. Q. Do black ink cartridges really print more pages than colour ones even if ink volume is the same? Is the quality of both one and the same? A. Yes, the output of black ink cartridges is more than that of colour cartridges even if their ink volume happens to be the same. The print results of both are equally good. Q. Hi. Someone gave me Canon Pixma MX340 ink cartridges and said they work in Canon Pixma MX330 printer that I use at home. I want to know if they work well with my printer and don’t cause any damage and if the quality of printouts is good enough. Thanks. A. Canon Pixma MX340 ink cartridges are compatible with your printer and yield fine quality printouts. They are perfectly suited to your printer and will cause no damage whatsoever so you can go ahead with using them. Q. Why are the compatible Canon Pixma MX340 Ink Cartridges so much cheaper? A. This is a common question asked by many people and the answer is really quite simple. The cost to produce a genuine printer cartridge is generally not that expensive than a Generic Ink. Usually, an original cartridge will be packaged in a more attractive way and may even look more appealing to the eye. The truth, however, is that these are the refilled of the originals. Thus basically the profit margin on the genuine cartridge is greater than it's compatible. Q. I want to buy the colour and black Canon Pixma MX340 Ink Cartridge both of the compatible range. How much will this cost? A. The price of 2 Pack of compatible Canon Inkjet Cartridges PG512BK and CL511C is €36.99 Inc. VAT. Q. Is this printer value for money? A. Yes, this printer is very good value for the price. Cartridges can be easily installed and last as long as the genuine Canon inks cartridges. Q. When is the best time to get a new Canon Pixma MX340 Ink Cartridge? How do I know when my cartridge is running low? A. When you start seeing the colour or black fading on your printouts, this is the best time to get your cartridges replaced. Some of the printers might give you an early warning, before an actual need for replacement. Q. Is my printer compatible to print on Windows machine? Q. Can I expect this machine to produce quality printouts in less time? A. Yes, the printer offers decent printing, copying, scanning and fax printing in less time and is suitable for office as well as personal use. Q. How to print photos from a PictBridge Compliant Device? A. You can connect the PictBridge device to this machine with a USB cable that is recommended by the device's manufacturer and can print saved images directly from it. You can also refer to the on-screen manual Advanced Guide for complete information. Q. I want to replace my Canon CL--511 and Canon PG-510 cartridges with compatible cartridges for my Canon Pixma MX340 printer. Which are the cartridges that would work best for my printer? Q. How can I order cartridges for my Canon Pixma MX340 printer? How long does it take to deliver the cartridges? A.You can order Pixma Canon MX340 ink cartridges by typing the company name and the model number of your printer in the search bar at the right top of the website page. You will get a Tab with your printer model number on it. Click on it and you will get the list of Canon Pixma MX340 ink cartridges that will work best with your printer. You can select the cartridges according to your requirement and add them to the cart. Select the checkout option after you have checked the items selected in your cart. You can select the payment option of your choice. The cartridges will be delivered to you in 1-2 working days by the Fastway Couriers. Q. The ink spills and an incomplete document is printed while I perform borderless printing with my Canon Pixma MX340 printer. What should I do? A.To perform borderless printing we usually set a large amount of extension. Try reducing the amount of extension by moving the slider towards left. The portion of the document extending the paper range will not be printed and you will get an incomplete printout. Q. I want cartridges for my Canon Pixma MX340 printer. What are the additional charges I need to pay? Do the cartridges with guarantee cost more? A.You can place the order for your Canon Pixma MX340 ink cartridges by using the Paypal or your credit card by just paying the amount for cartridges and no other hidden cost. Apart from this, you need to pay shipping charges to the courier company. The invoice generated while placing the order will clearly mention the charges. No, the cost mentioned with the cartridge is its original cost and there are no extra charges for a guarantee. We provide 12 months (from the date of purchase) guarantee to all the cartridges we sell. Q. I am using Canon Pixma MX340 printer and I get noise in my photo printouts. What should I do? Q. My cartridges for Canon Pixma MX340 printer are leaking as I opened the parcel that I received. I want to return my order. Q. While I am printing from Canon Pixma MX340 printer the colours are unclear. The ink status of the cartridges is fine. I am using compatible cartridges from your website. A.There might be several reasons for getting unclear colour output even if the Canon Pixma MX340 ink cartridges have sufficient ink. Check for the proper installation of the Canon Pixma MX340 ink cartridges if they are replaced recently. If the locking cover of the cartridge is not closed then there may be a problem in ink ejection. Push the cartridge locking cover until it clicks. Check if the nozzle check pattern is printed properly. Examine the nozzle check pattern and if there are missing lines in the pattern perform print head cleaning.